Ingredients: Himalayan salt, and organic essential oils of Muscle blend. 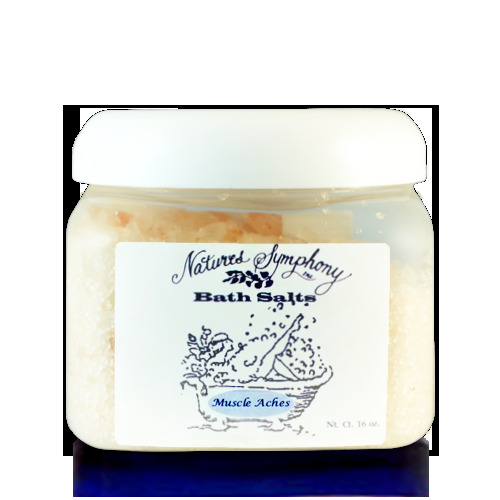 The salts are infused with the same high quality pure organic essential oils of lavender, rosemary and juniper from wild or organically grown plants. During your bath, the aroma of the Muscular Balm blend and the contact of the blend with a large area of your body will help soothe muscle circulation. There are 16 ounces in the jar, and we recommend that you use 1 oz. or 1/8 cup per bath in tepid or warm water.